I don’t love exercise. I enjoy playing sports and being active with others. But I can’t do that every day so I walk outside or resign myself to the treadmill. Lately however, I’m encouraged to ‘just do it’ as the famous slogan prompts by ongoing research linking exercise to better brain and memory function. One study demonstrated how moderate exercise can act as an anti-inflammatory. This has strong implications for chronic diseases like arthritis, fibromyalgia, and obesity among others. Speaking of obesity, it is associated with a more rapid loss of hippocampal volume in the brain. The hippocampus is known as one of the key memory areas of our brain. Another study proved memory training is less beneficial for older adults with obesity. In other words, for obese individuals, all the memory training in the world is not as beneficial as it is for more fit individuals. Obesity in middle age in particular, is a strong risk factor for cognitive impairment including dementia later in life. Obesity is defined as having a body mass index over 30. BMI is a measure of body fat in adults by calculating height and weight. There’s an easy calculator here, just plug in your height and weight to see what your BMI is. The goal is to stay in the ‘normal’ range of 18.5-24.9. Exercise is one of the key components to help us stay in that normal range. One more study really hit home the importance of physical exercise for our brains by demonstrating the “more fit older adults were, the more active their brain was during learning.” The fit older adults also scored higher on memory tests. I can’t always fit in the recommended 30 minutes/5 times a week, so I aim for a total of 150 minutes or more over the entire week. I do try to do least 20 minutes per session to reduce inflammation which is seen as an increasing risk for so many diseases. Let’s take this latest research as motivation to learn to love exercise. It will not only benefit our bodies but also keep our moments memorable! 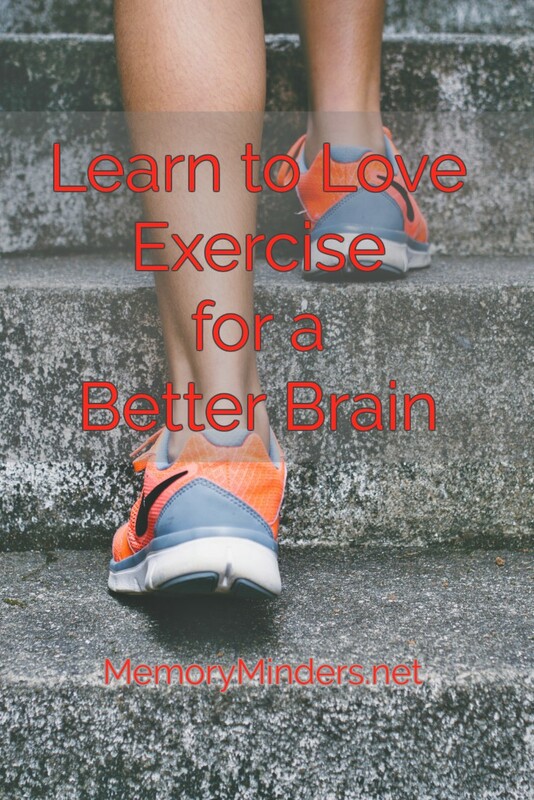 Love exercise-it will do our bodies AND our brains good!